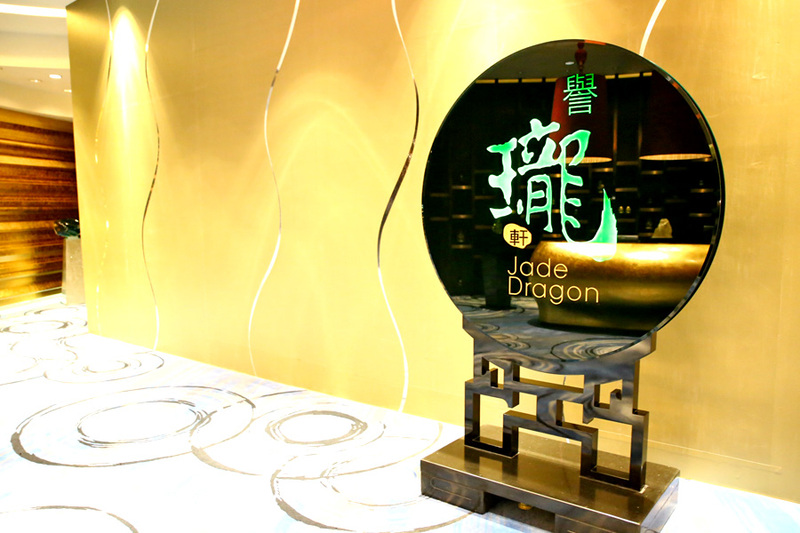 [Macau] It won’t be exaggerating to say that dining at Jade Dragon 譽瓏軒, City of Dreams Macau almost feels like an experience being in an imperial family or royalty family. 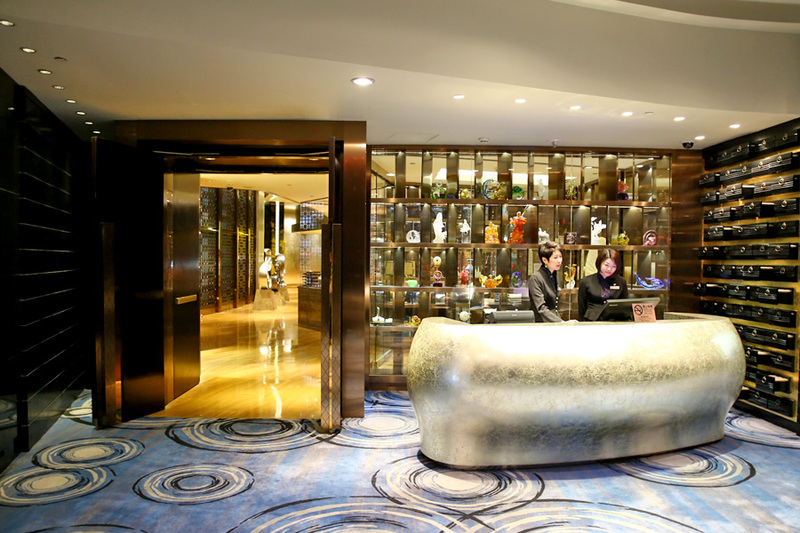 The food, the space, the service, the décor, the concept… nothing is short on being opulent and lavish. 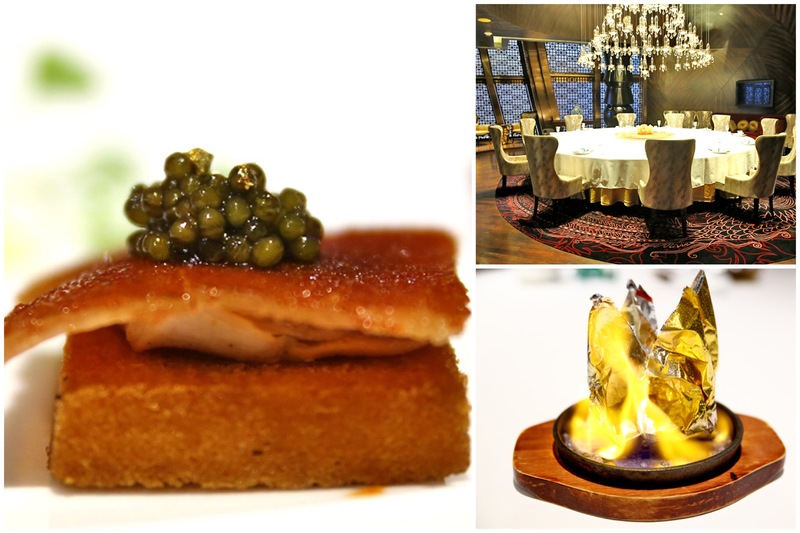 The multi-award winning Chinese restaurant has been awarded 2 Michelin stars for 3 consecutive years since 2016, elevated from 1 star in both the 2014 and 2015 editions. 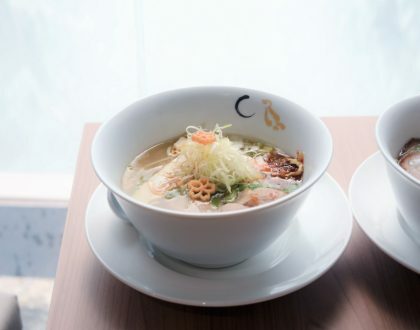 It has also been listed in Asia’s 50 Best Restaurants 2018. 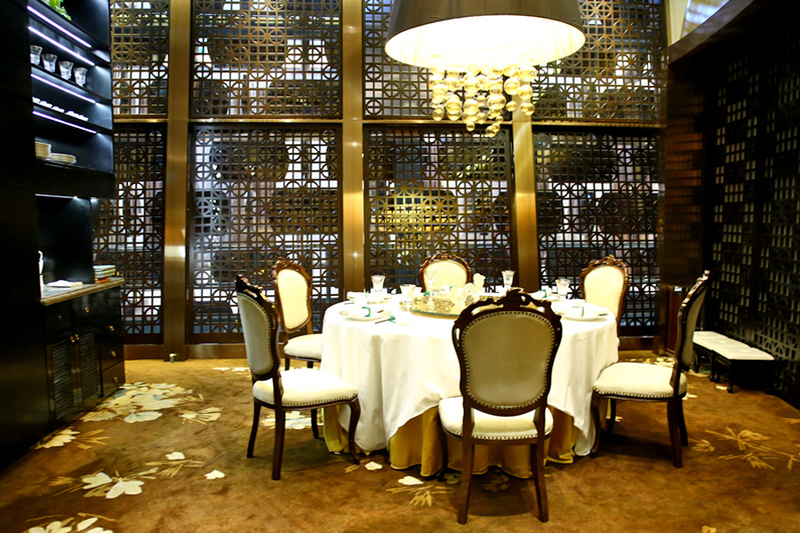 The décor of the walls may give you an indication of one of the key essence of the restaurant. You see shapes of medical drawers reminiscent of a Chinese medical hall. 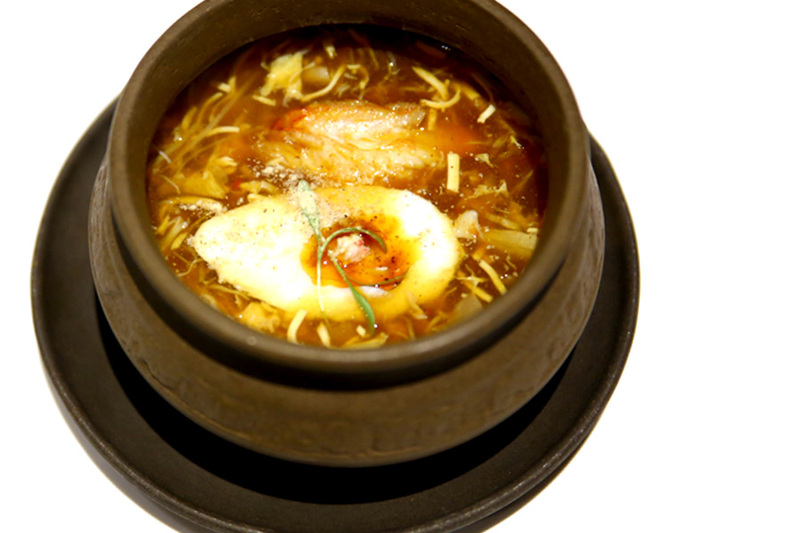 Executive Chinese Chef Tam Kwok Fung pays great emphasis on cooking Chinese cuisine that is beneficial to health, helps preserve the body’s balance, and boosts an extensive range of dishes and soups that has been prepared by Chinese herbal practitioners. In case you are wondering, the team is not just paying lip service. There is an ongoing collaboration with the Chinese Medicine research team from the Macau University of Science and Technology. 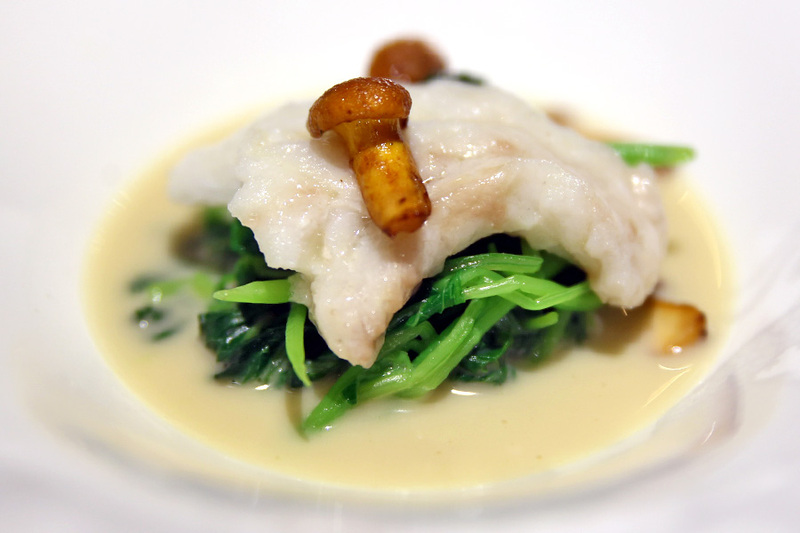 This certainly sets a benchmark for Chinese fine dining restaurants. My jaws must have dropped a couple of times when as I walked towards the dining room. 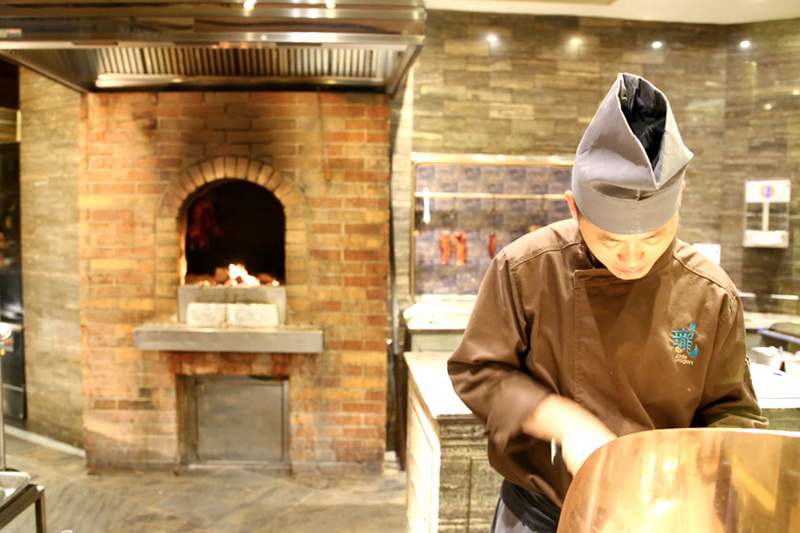 First, I passed by a kitchen where the restaurant’s signature barbecued Ibérico pork was roasted in a lychee wood-burning brick oven. 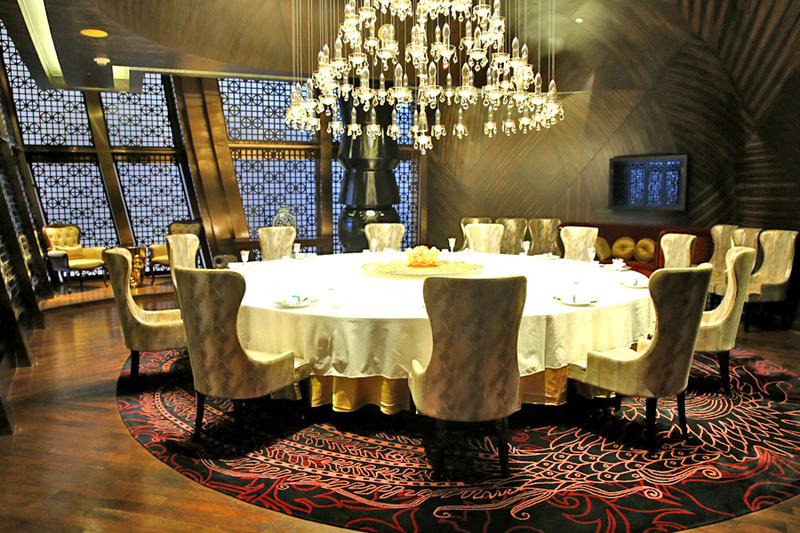 Jade Dragon is divided into 5 zones, each with corresponding seasons and colour tones; 11 VIP rooms – one contains four 12-seat round tables; a professional open kitchen covered in glass found in the main dining area; and a dining room of jade, gold, embroidery, elaborate lighting, paintings and vases. Even the service staffs were wearing jade accessories with dragon and phoenix motifs. Yet all classily done and not over-over the top. 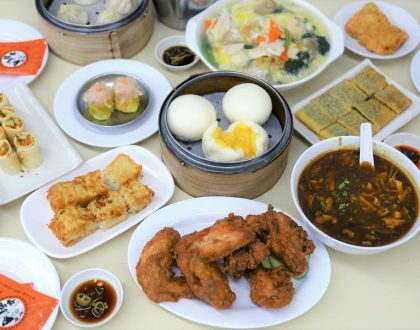 For lunch goers, there is a Dim Sum menu with recommended items such as Baked Iberico Pork Pastry (MOP48, SGD7.75), Jade Dragon Dumpling (MOP32, SGD5.16), Baked Australian M8 Wagyu Beef Puff (MOP28, SGD4.52) and Steamed Kagani Crabmeat Dumpling (MOP68, SGD10.97). I was surprised at how affordably priced the Set Lunch was, considering how decadent the place could be. 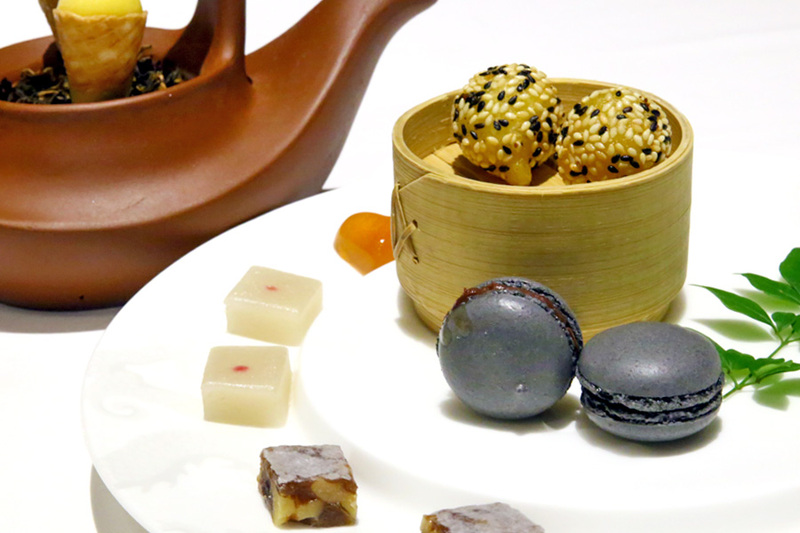 A 5-course Set Lunch Menu with Petit Four and Seasonal Tea went for MOP388.00 (SGD62.61). 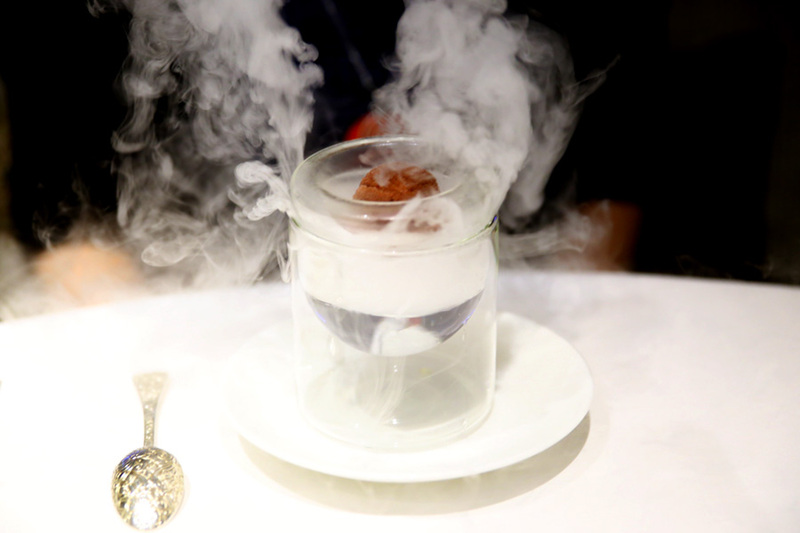 A full tasting menu was priced at MOP1880 (SGD303) per person (MOP2380 with full wine pairing); and the other tasting menu was MOP1180 (SGD190, MOP1530 with full wine pairing). If your intention is to order ala carte, Jade Dragon’s signature dishes include Double-boiled Cordyceps with Fish Maw, Steamed Japanese Hairy Crabmeat Dumpling, Prime-Cut Barbecue Iberico Pork Pluma, Macau Sole, Roasted Boston Lobster with Crystal Noodle and Coriander served in Clay Pot, Braised Vegetable with Fish Maw, Azuaga Ham and Winter Melon in Beet Root Chicken Broth, and Chinese Almond Crème brûlée with Bird’s Nest and Honey. 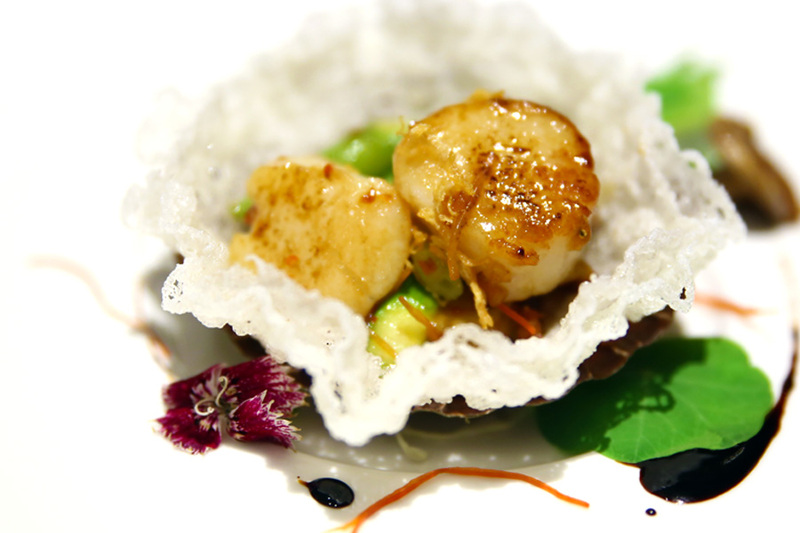 A starter of Deep-fried Fine de Claire Oyster, Jade Dragon Prime-Cut Iberio Barbecue Pork, Chilled Abalone with Plum Wine. I liked all four items, of varying degrees. 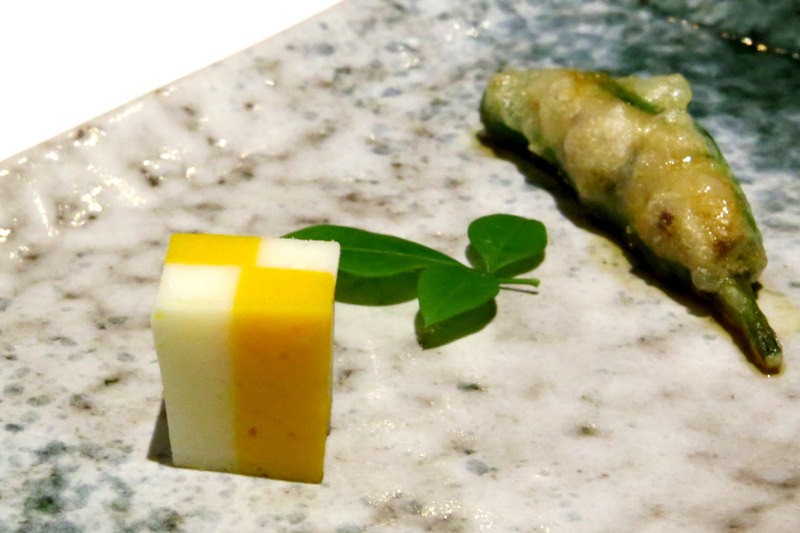 The oyster was definitely a surprise – deep fried to a crisp, yet superbly succulent and plump on the inside. The Thai sweet chilli sauce it was submerged in, revealed that you could expect the unexpected. 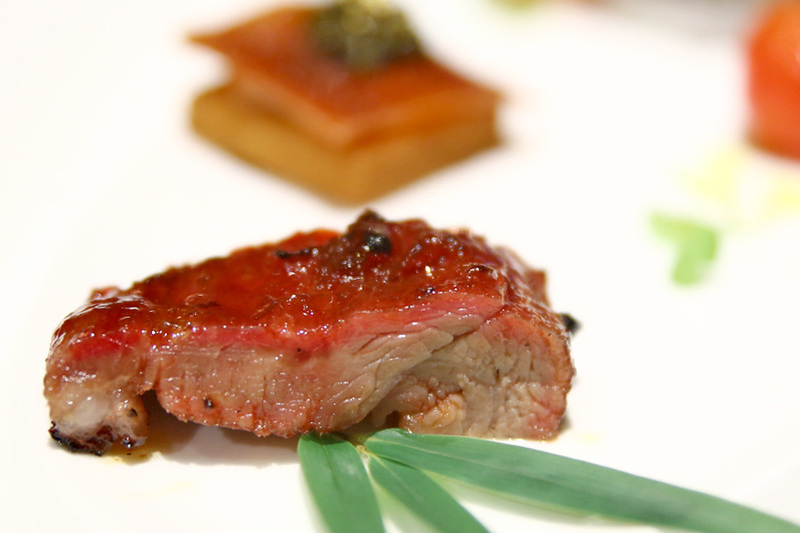 The Iberico Pork was probably the Crème de la crème of char siew, using not just any ordinary pork, but the strip at the top of the rump of a Spanish Iberico pork. This would give the meat both a lean and juicy texture without being overly fatty. The lychee wood brought about a special taste to the savoury meat, further enhanced with a sweet glaze of organic honey. It wasn’t the typical taste of Sichuan hot soup. 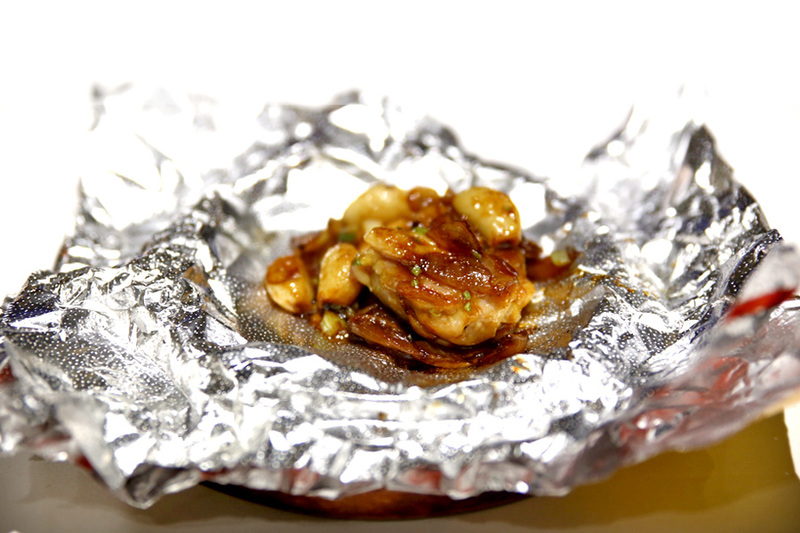 The spiciness won’t ‘kill’ you with its intensity but would make you crave for more and more. 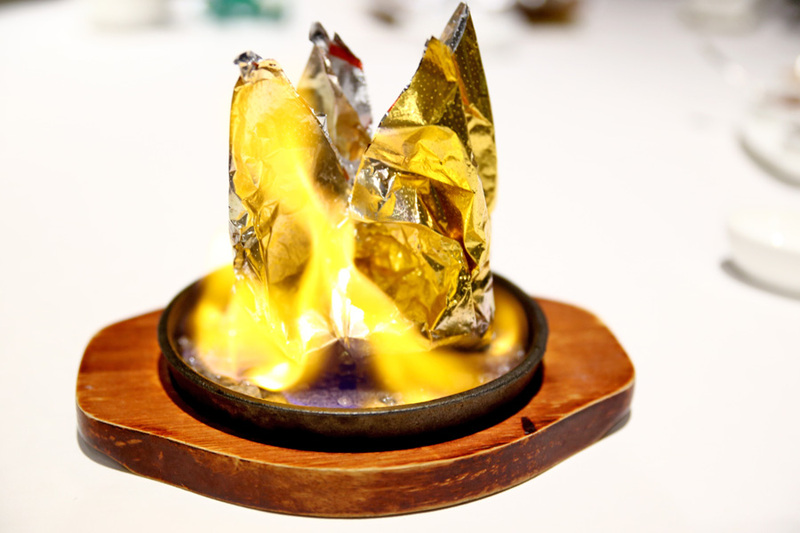 The Hakka style Free Range Chicken was first presented in a foil, flambé right at the table, and when opened up revealed steaming hot pieces. 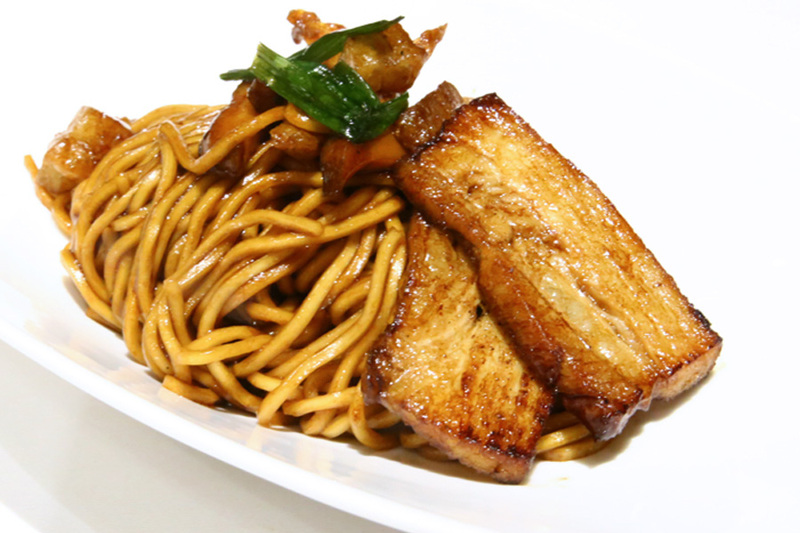 Some friends may have the reservation that Cantonese style dishes would go heavily in oil, seasoning and flavours. 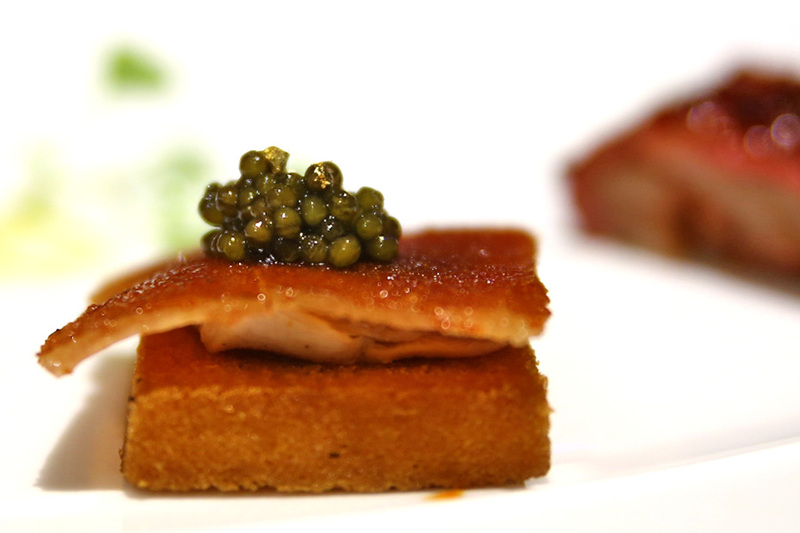 This restaurant has many dishes that just let the ingredients do the talking. 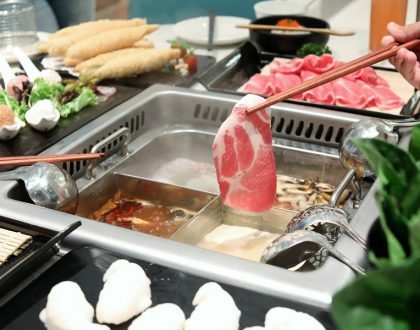 Talking about Cantonese cuisine, the taste of the wok-fried food can more often than not, reveal the true skills of the chefs. 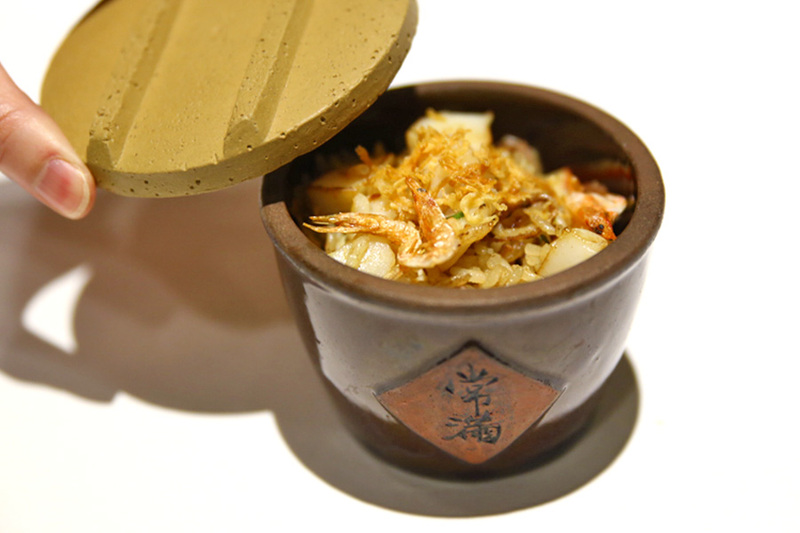 The recommended Jade Dragon Signature Fried Rice with Prawn, Sakura Shrimp, Conpoy and Roasted Goose, was a bowl (a modified rice urn to be accurate) of brilliant wok-hei, top notch ingredients, and distinct fragrant grains. 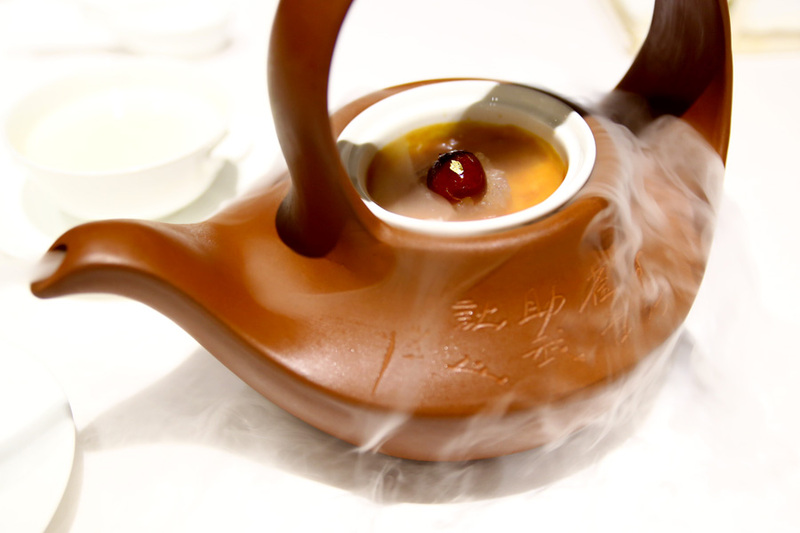 My most memorable dish could very well be the dessert – a teapot which came served with dramatic ‘smokes’ of dry ice, containing a Chinese Almond style Crème Brûlée which had the perfect caramelised crisp later, creamily smooth texture, added with bird’s nest and honey. The theme of jade did not end there. 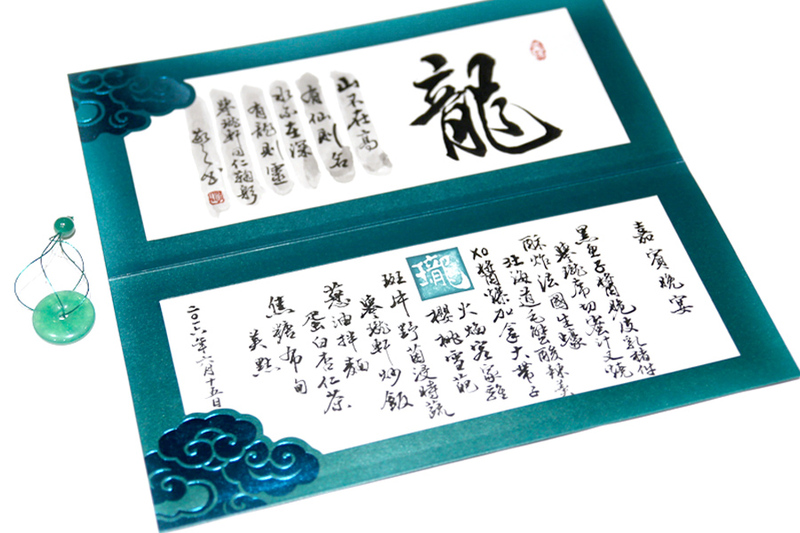 After the meal, the waitress presented a Jade green card tied with a jade ring that listed all the dishes ate, hand-written in Chinese calligraphy. Pure elegance. * This entry is brought to you in partnership with City of Dreams Macau.